Got Play Dough? I know you do (or you’ll make or buy a batch ;)! 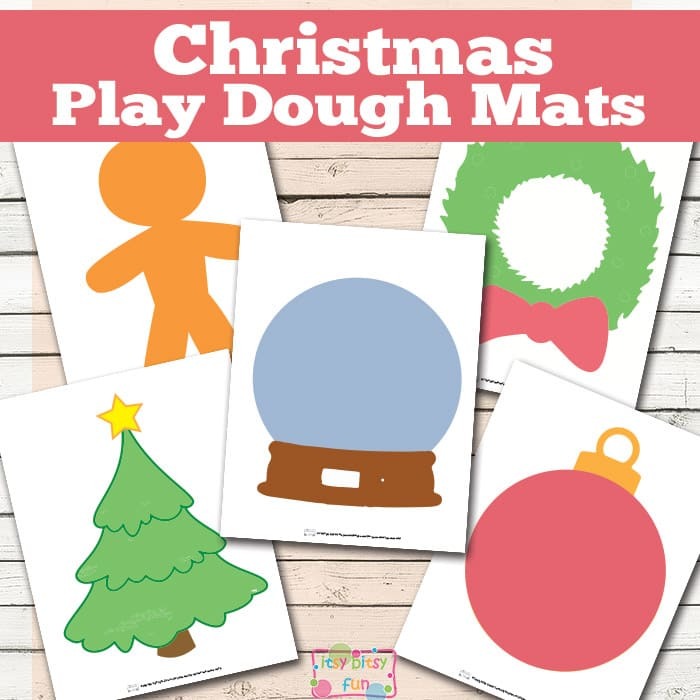 These Christmas Play Dough mats will be perfect for the festive season! We’ve been getting pretty skilled at making our own play dough but I still love the store bought one (you know more colors less effort :)) as it really works out great when it comes to play dough mats that allow for more color creativity – such as these I think. These are great for practising fine motor skills or just simply letting their creativity goo wild. I’ve made 5 different ones – some of them I got inspired by browsing on Pinterest (like these playdough mats made by This Reading Momma) and some I’ve come up with when I was in the “zone”. Snow globe mat – I think this one really allows for a lot of creativity as kids can make snowman scene, Santa scene or pretty much anything else. The classic Christmas tree to decorate. Round Christmas decoration – let them decorate it however their heart desires. Wreath that just needs a few decorations to make it super pretty. 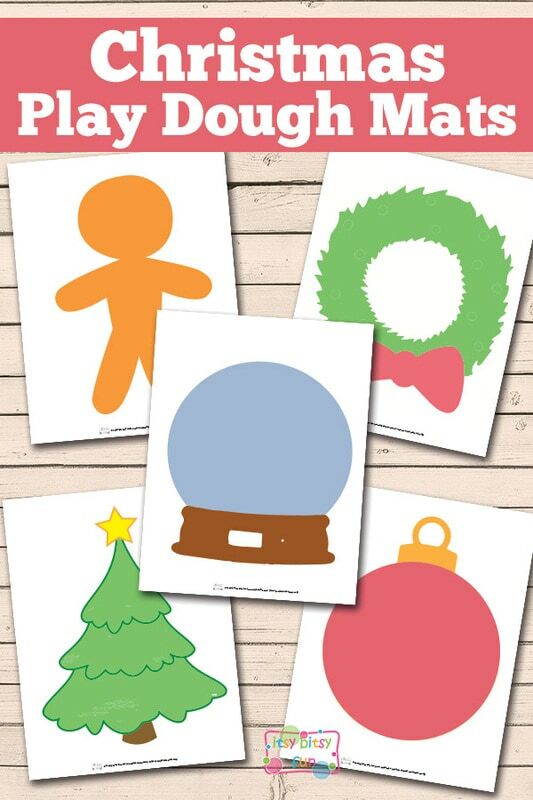 Get your free printable Christmas Play Dough Mats here. If your kids love festive characters they are going to enjoy these mix and match Christmas puzzles as they will be able to put together a Santa, Reindeer, Elves, Snowman and Gingerbread man or just mix and match them to get all kinds of fun characters. Also check these Christmas Color by Number worksheets as they are a great way to practice numbers. For more file folder game fun check these winter file folder games!